Spend an unforgettable mountain bike holiday in Val Gardena. The bike region of Val Gardena - Alpe di Siusi in the heart of the Dolomites, presents itself with an extensive network of bike paths and trails suitable for all abilities. Our organized MTB tours in Val Gardena make your holiday an extraordinary experience and you will feel like in an open-air cinema. The Dolomites are the ideal bike territory for enduro bikers. With our concept "Ride the Dolomites" we will lead you into the most beautiful bike regions of the breathtaking Dolomites and also reveal the best enduro bike trails. 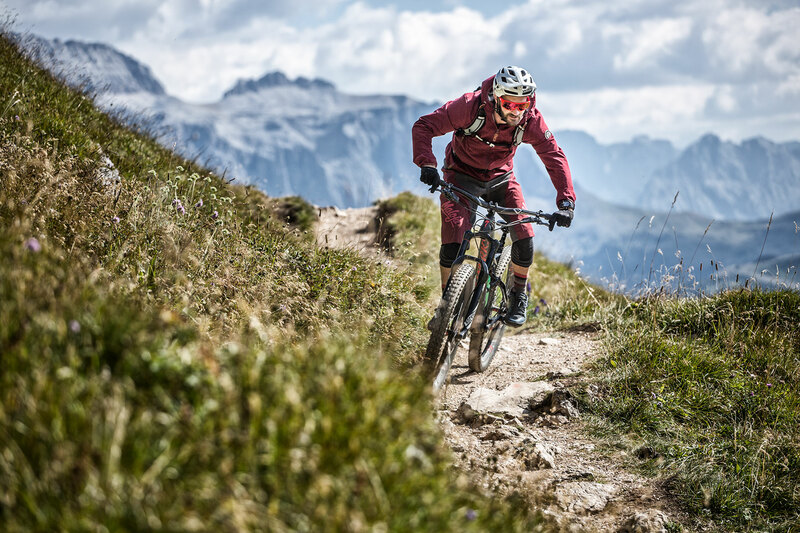 Mountain biking in Val Gardena means fun and challenge for sporty bikers on varied routes and tricky trails in the heart of the Dolomites, UNESCO World Heritage Site. For those who want to improve their mountain bike skills during their bike holiday in Val Gardena, we propose technique trainings for even more fun on the trails. Besides, we specialize in guided tours: this means that our own "Ride the Dolomites" guides offer you 3 to 4 guided tours per day in four different difficulty levels. Our concern is to address your special needs and wishes, and offer you various bike tours, including enduro tours, to experience the wonderful South Tyrolean Dolomites around Val Gardena. Holidays in the 3 star Superior Bike Hotel Linder in Selva di Val Gardena. Whether you are a mountain biker, freerider, road biker or casual cyclist, the hosts of “Bike Hotels Südtirol” are enthusiastic bikers themselves and will show you the greatest trails, the most beautiful mountain passes and the best tours in South Tyrol - insider tips that cannot be found on maps. The holiday region South Tyrol offers more than 300 sunny days a year, making it the perfect holiday destination for passionate mountain bikers. The Bike Hotels South Tyrol guarantee individual quality services, tailored to your needs as a biker: also Hotel Linder is a member of the Bike Hotels and is looking forward to enthusiastic mountain bikers.